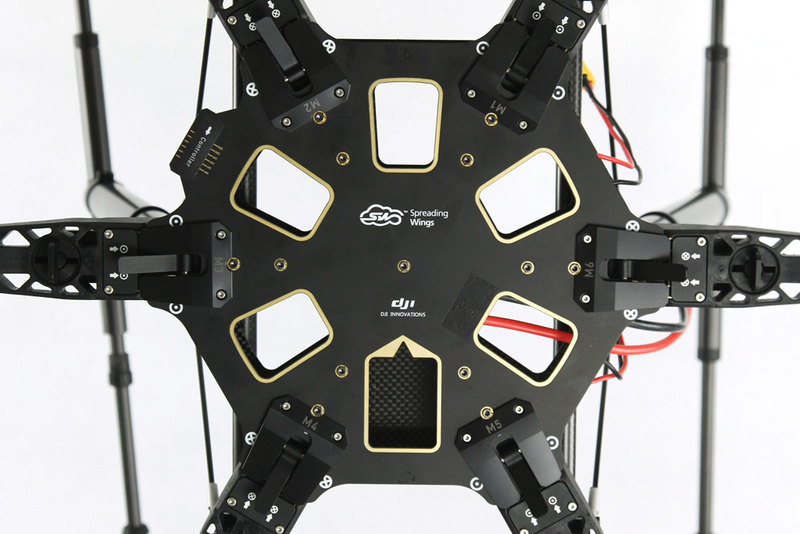 Spreading Wings S800 is DJI's latest hex-rotor platform, designed for fast assembly. With their high-efficiency dynamic system, it brings you high stability, high payload and long flight time. It is tailored for aerial photography/videography and the movie industry.